In the first article in this two-part series, we look at the challenges related to embedding video in email while providing tips and tricks to pull it off. Stay tuned for our next article, where we offer real-world examples and specific client successes. 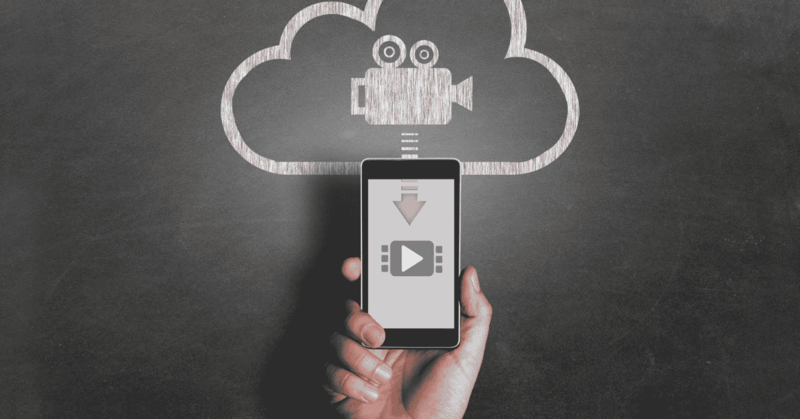 Adding video to email can be a game-changing experience for marketers. Online video is extremely popular today and can be one of the best ways to reach millennials or any other consumer looking for faster, more engaging content. It is effective, too. Research from Campaign Monitor shows that adding video to email can lead to open rate increases of 19% and click-through rate increases of 50% or more. Additionally, a Forrester research report highlighted the fact that embedding video in an email can boost click-through rates 200-300%. Such exponential results can be very appealing for marketing teams achieving single-digit increases using traditional email marketing methods. These findings lead to one important question: Why aren’t more marketing teams doing more to send video through email campaigns? Why aren’t we embedding video today? The likely answer is probably related to the fact that the majority of marketers still think it’s too difficult. In the past, there were many technical constraints and other hoops that production teams had to jump through to get it done. Most notable is the fact that a typical mass email goes to recipients using many different email clients. Some can open embedded video inline, yet others cannot. This represents a dilemma that requires some creative thinking. For example, email producers had to hard code media queries into HTML to attempt to determine which clients would receive the email. Yet this strategy was really a watered-down approach that was intended to create a lowest common denominator experience for the highest number of clients. But this was a far cry from easily creating jaw-dropping, memorable email experiences that consumers en masse would love (and respond to). Ready for the good news? All of this has changed in the last few years, and now there are better ways to send a video through email. It’s worth the effort: When done well video can instantly communicate your message, exceed recipients’ expectations, and appeal to users who prefer video. All of this helps your brand stand apart as a leader and a viable business partner. What is the best way to add video? If you’re comfortable with HTML, you may want to try adding it yourself. But before you do, remember the challenge described above: some of your recipients’ email clients won’t support the ability to play the video right in the inbox. Many of them will, and those that don’t will offer a static image as a graceful fallback image, but you should still use caution. If you choose not to attempt embedding video in HTML, there are also a few different tricks you can use without actually doing it. Use a play button: Using a play button on top of a static image is a great way to link to video content that is hosted on YouTube or Vimeo. All you have to do is to link the image to the hosted version of your video. Animated GIFs: Another popular way to create the illusion of video in email is to use animated GIFs. While not technically a video, animated GIFs can still be used effectively to create better emails—and motivate recipients to take the right action. Animating the play button: This is actually a hybrid approach where you would link a static image but use an animated GIF to draw attention to the play button. There are other approaches, too. For example, Liveclicker’s RealTime Email technology and advanced email experiences work with nearly every email client. Our LiveVideo element uses moment-of-open technology to identify the specific level of video support in each email client and displays the appropriate embedded video, animated GIF, or static image. On average, 40% of all RealTime Email recipients can view video inline or full screen – leaving 52% with animation and a tiny 3% with a static image linked to the video. Liveclicker provides moment-of-open personalization to deliver the best possible experience for just about any recipient. The best way to see if video in email is right for you is to try it. Testing a video in an email campaign can be as simple as creating a one-off video and segmenting a small portion of email subscribers to test its validity and overall success. Online video is one of the most popular types of content and accounts for approximately 50% of all media consumed on the Internet. If you’re looking for a new way to get ahead, beat the competition, and give your prospects a highly engaging experience, try using video in your next email campaign. Your subscribers will appreciate it, and chances are good that it will generate positive new results. We hope this article was helpful as you begin to consider the best ways to add video to email marketing campaigns. Stay tuned for the next article in this series, where we look at real-life examples of Liveclicker clients who are actually using video today.